Bengi Kömürcü and Duygu Ciniviz, two reporters for JINHA, pro-Kurdish news agency that the government closed down under post-coup emergency rule, have been detained in Istanbul. Journalists gathered at Kadıköy ferry port in order to report on a press meeting by some women organizations on Sunday. After a random identification control, police detained Kömürcü and Ciniviz on accusation that they failed to testify in a separate case against them. Turkish government shut down another 10 newspapers, 3 magazines as well as 2 news agencies in the latest government decree issued under post-coup emergency rule, on Oct. 29. 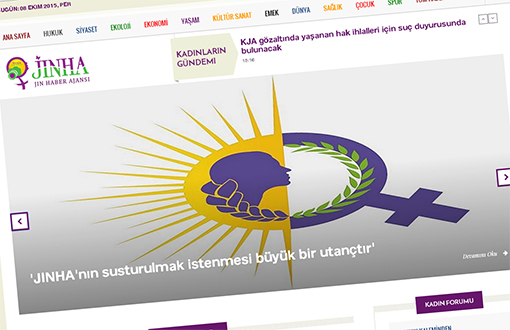 Among the media outlets shut down on Saturday are pro-Kurdish Dicle News Agency (DİHA) and Jin News Agency (JINHA); Özgür Gündem and Azadiya Welat newspapers; and Yüksekova Haber, Batman Çağdaş, Cizre Postası, İdil Haber, Güney Expres, Prestij Haber, Urfanatik, Kızıltepe’nin Sesi local papers.